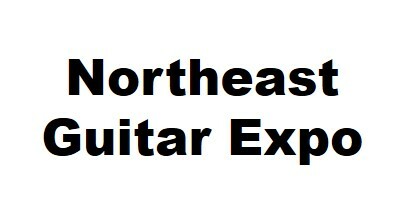 The Northeast Guitar Expo is intended to be a gathering of the guitar community throughout this region. There really isn’t another event like this in the New England area. Created by Peter Occhineri and Kevin Kalagher, two veterans of the guitar industry, it’s their passion to bring luthiers, builders, product manufacturers and dealers together for guitar enthusiasts to meet and create new relationships with. The April 2019 show is in the books and was a huge success. 60+ high-end exhibitors met over 1,000 attendees for a great day of electric and acoustic guitar/bass interaction. Set in a very cool and musical venue, The Oakdale Theatre and Convention Center in Wallingford, CT, the event couldn’t have gone better. The popular live Guitar Demo Clinics are always a big hit, and the Buy-Sell-Trade option had attendees selling their personal instruments during the show. A special feature of the show is The Acoustic Cafe, a separate large room for acoustic instrument builders to show and demo their products in a more quiet environment. This adds a “second show” to the electric guitar and bass show space. View a slide show presentation of our event here on YouTube. 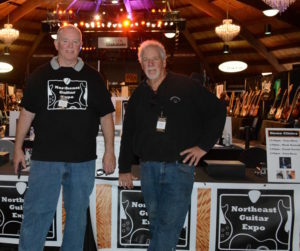 Peter Occhineri and Kevin Kalagher created the original show and are now the promoters and owners of the Northeast Guitar Expo. Their collective experience in guitar building, marketing and sales spans more than 3 decades. The stage is set to have many great guitar events in the future. Hope to see you at one of our events.